If you are setting your subs up L/R, you don't care about coverage. Smaart is just a tool. 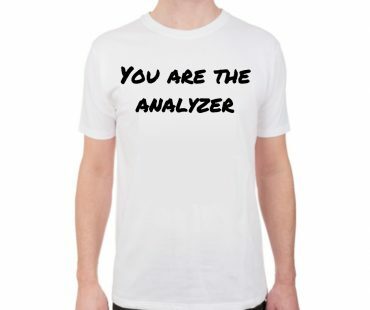 You are the analyzer. Why should I care about the physics of audio and sound system optimization? I’ve got a good ear and I don’t need robots to tell me how to do my job. What are some of the biggest mistakes you see people making who are new to Smaart? How do I save time in sound system tuning? What are some time saving techniques or shortcuts you can share with us? Thinking about the most common sound systems that we run into on a day-to-day basis, what is your guidance around microphone placement in the horizontal and vertical plane for main+sub alignment? What are the new SPL features of Smaart? Is he using FIR and IIR filters in his live system tuning? Does he believe there is a future in their applications for an end user system tech? Has he seen FFT system tuning techniques being accepted by a wider audience of engineers in recent years? 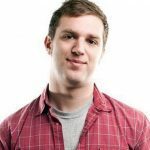 Is he excited about any specific developments in the world of system processing or speaker design that will make system design and system teching easier? What can we do as end users to encourage loudspeaker manufacturers to develop a proper standard for generating and publishing speaker specifications? What’s his favorite subwoofer and why? What’s next for Smaart ? Send and receive OSC ! Gain tracking on the Octa-Capture? How to measure and read tonality or timbre of loudspeakers. For example at x-over freq two driver playing the same tone at the same magnitude and phase sound completely different! A progression of this is how to measure the ability of speaker system to convey the emotional content of an artists performance and connect with the listener. What does he always recommend as the absolute minimum you should do? Which steps should you never, ever leave out. All music in this episode by It Prevails(Chris Tsanjoures, Lead Guitar). Hearing is subjective. You like one song while I like another. Hearing changes. What if you wake up with a cold? There is proof in analysis. You have data to support your claims. Speed. How do you recreate that sound that you love in a completely different environment in 5 minutes? Biggest mistakes made by people who are new to using Smaart. Lack of practice in a controlled environment where you get used to looking at the data. So how do you practice? Get two matching speakers and an output processor. Put them next to each other. Splay them apart and find the point of equal time and level. Get two unmatched speakers and try to make them match. The day before, look at the design to determine where you’re starting, ending, and what your target is. Create a checklist of polarity, time, response, and level for each system. Verification: Does it work? Do all of the outputs arrive where they are supposed to? Main systems. Everything else will then be set relative to the main. Do symmetrical systems sound the same? System response measurements and matching. Where’s the person who can do the most damage? Is it at FOH? Where is the bulk of the audience at this EDM thing? Make sure you are phase aligned not only at the crossover frequency, but 1 octave up and down from it. If you are out there actually putting things together, you learn a lot faster. Any analyzer, they’re just tools. They are going after the same goal, which is good sound. If it takes you 2 hours to get [the system] to sound good, that’s not acceptable to me. If you get that system up and ready to be used in 15 minutes, you’re a hero. If you’ve already set your subs up left/right, then you’ve already made a decision that you don’t care about coverage. Nuisance monitoring is basically LF measurement. C weight to keep track of LF level, A weight to keep track of loudness that could cause hearing damage. If I start a show off at 98 dBA/106 dBC, I don’t want to end too far away from there. I’m a subtractive mixer. If you can’t hear the guitar, it’s because something else is in the way. Sound is linear. What’s not is our human hearing mechanism. The first two steps don’t involve an analyzer. You are the analyzer. Smaart is just a tool. It just makes data. You are the one analyzing it. Any idiot can make squiggly lines on a computer. The skill is in making data that you can rely on or make meaningful decisions from. Part of the skillset for a system technician is being able to operate an analyzer. You definitely get paid more.